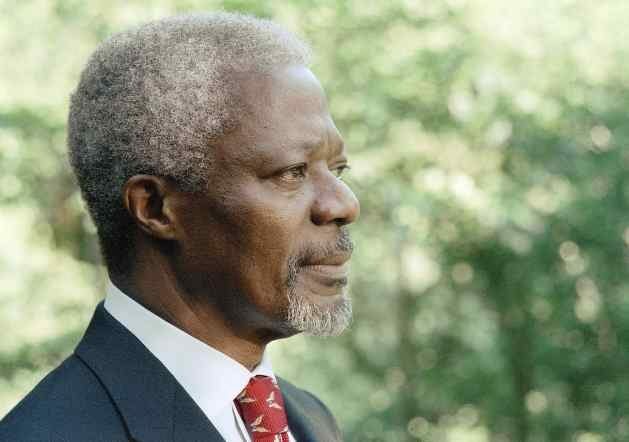 ROME, Sep 14 2018 (IPS) - This testimony to Kofi Annan, former UN Secretary-General, comes a month after his death. Much has already been written, and it is now superfluous to recall his efforts for peace and international cooperation. It is better to place his figure in a crucial context: how the great powers progressively reduced the figure of the UN Secretary-General and charged a high price from those who tried to keep the system’s independence. This special arrangement took the first heavy blow through the hand of US President Ronald Reagan who, at the North-South Summit held in Cancun, Mexico, in 1981, shortly after his election, said he considered the United Nations a straitjacket for American interests. He argued that it was not acceptable that his country had only one vote like any other country, and was forced by majority votes (often from developing countries) to follow paths far from US policy. Since then Washington’s policy has been to attempt to reshape the political weight of the United Nations, and it has constantly sought to have a “manager” as Secretary-General who would take account of American weight. When Bill Clinton became US President, his mandate was not at all unequivocal. He was openly internationalist, and he officially declared, with regard to the Rwanda War, that the United States would ban any peacekeeping operation that did not directly benefit US foreign policy. He was also the one who abolished the 1933 Segall-Glass law, which strictly kept separated deposit banks from speculation banks. As a consequence of that , speculative finance boomed and citizens deposits started to be used to grow capital, giving supremacy to finance over economy and politics. With the veto on Boutros-Ghali, the American administration, represented by Madeline Albright, ex-US Ambassador to the United Nations and promoted to Secretary of State thanks to her battle against Boutros-Ghali, wanted to give a signal: the United States was ready to ban a UN Secretary-General who did not respect Washington’s voice. Albright’s proposal was accepted and a respectable Ghanaian official, Kofi Annan, was appointed Boutros-Ghali’s successor by the Security Council. It was at this point that the greatness of Annan came to the fore. The man who had been considered a man linked to Washington embarked on a process of deep UN administrative reform, in order to make it more transparent and efficient. He received the Nobel Prize in 2001, together with the UN Organization, “for his work for a better organized and peaceful world”: confirmation of his prestige and authority at the highest level. However, in 2001, George W. Bush was elected President of the United States. His agenda’s priority was American supremacy in a changing world, taking over much of Reagan’s spirit. Whoever had Kofi Annam’s confidence could have heard how Bush wanted Annam’s unconditional support, despite his resistance. Bush began his mandate with the decision to bring down the President of Iraq, Saddam Hussein, for his invasion of Kuwait the previous year, despite American warnings. 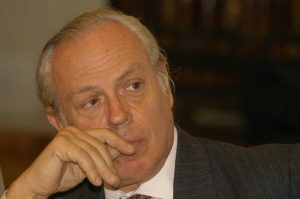 In 2003, because he did not have the support of the Security Council, which was not convinced there was sufficient evidence that Iraq possessed weapons of mass destruction (France ‘s refusal to believe the US Administration was particularly firm), Bush invented the “Coalition of the Willing”, an alliance of various states promoted with the support of British Prime Minister Tony Blair, and invaded Iraq without UN legitimation, with the results we all know. In 2005, an assistance programme was set up: the United Nations sold the country’s oil in order to provide food and medications to civilians. Under the pressure of media mogul Rupert Murdoch, the American right-wing invented a scandal, which targeted the United Nations and Annan (through his son) undermining the organisation’s credibility. An inquiry commission headed by former U.S. Federal Reserve Chairman Paul Volcker declared that American and British companies, and Saddam Hussein himself, benefited from the illegal transactions, but it did not help. By then image of the United Nations had been irreparably compromised. Between 2007 and 2016, South Korean diplomat Ban Ki Moon held the office of UN Secretary-General. It is said that Bush’s instructions to the American delegation were: choose the most innocuous. And even though the end of the Bush presidency in 2009 was followed by that of Barack Obama who believed in an American policy based on cooperation and détente, Ban Ki Moon’s secretariat left a minimum legacy of actions. Today, the United Nations is a kind of ‘Super Red Cross’, focusing on sectors that do not affect governance of the economy or finance but politics on refugees, education, health, agriculture and fishing, and so on. Trade and finance, the two great engines of globalisation, are now outside of the United Nations which is no longer a place for debate and consensus for humanity. The Davos Economic Forum attracts more leaders than the UN General Assembly. There are many factors behind the crisis of the United Nations but the progressive withdrawal of the United States from multilateralism is its fundamental cause. The United States no longer needs the United Nations under President Donald Trump’s desire for a policy not only of America First, but of America Alone. After Reagan and Bush, Trump is the third nail in the coffin. The latest Secretary-General, António Guterres of Portugal, has a political career at the highest level, having also been his country’s prime minister. He was chosen by the General Assembly (an unprecedented fact), and imposed on the Security Council. Stuck by Trump’s promise to withdraw the United States from the United Nations, he had to avoid any position that would increase the decline of the United Nations thanks to this immobility. Is it reasonable to remark that those who are missing are the Kofi Annans, those who place values and ideals above all else, shunning personal interests and not interested in holding on to their positions, in order to invite citizens to a debate of ideas by those who dare to resist in this era of sleepwalking.